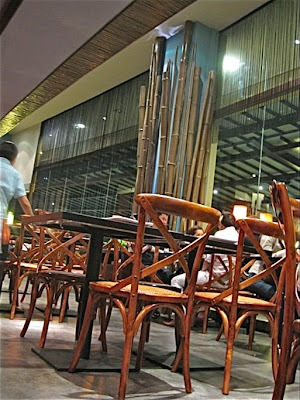 greenbelt 5 has so many restaurants that when it's time to decide where to eat, our tendency is to go to old reliables like cibo or any larry cruz resto. 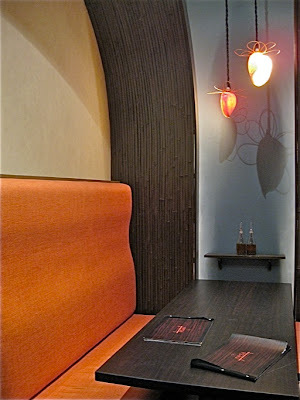 one night, we decided to try something new: mesa, which calls itself filipino moderne. 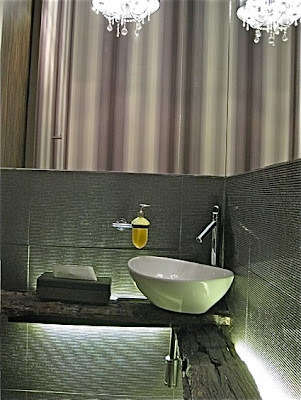 we liked the facade: we liked the interiors: we liked the restroom: and we like the food! great for sharing! 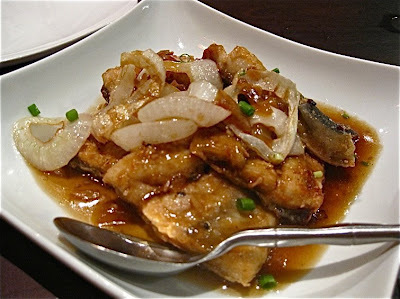 we ordered bangus belly bistek style, braised in soya and calamansi (P280). 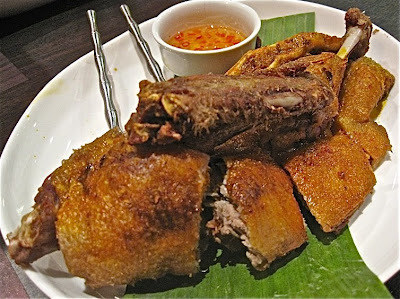 it was soft, tasty, and had the right amount of tang: crispy duck, 1/4 duck deep fried and served with sweet chili sauce (P390). they had other interesting and inventive duck dishes, like patotim, duck adobo, and duck curry (we wanna go back and try all of them! 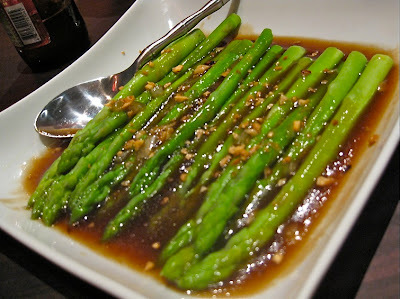 ): and for some roughage, asparagus tips, fresh asparagus with our fermented sauce topped with toasted garlic (P180): everything tasted good with our bagoong rice that we had to order another bowl! we were stuffed! but happy. our wallet was happy too. and guess who we saw there that night, table hopping: senator francis pangilinan. apparently, he's a partner and is there almost every night. thanks for the post, Liza.. always wondered how the food tastes here.. now i've a good idea..
We enjoyed the mesa for sometime till after Holy Week, especially the cripschon. Unfortunately, when the honorable senator is around, our reservation for 8 (we wanted to entertain our friends) got moved to a side booth where we were squeezed like sardines and service was none existent or at least evolved around the good senator only. 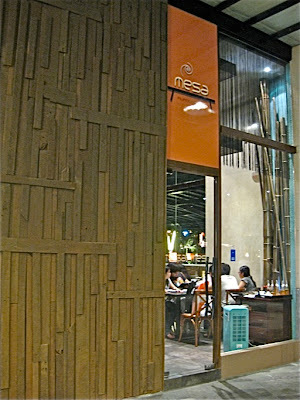 Will probably eat there again after the elections next year. If I were you, I would have left the restaurant.